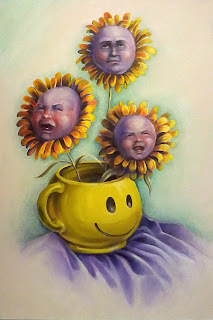 Riverview Art Studios: March MadnessFaces, Day 12: "April Showers"
Faces, Day 12: "April Showers"
We decided to take a break and finish a painting we had started before the challenge. 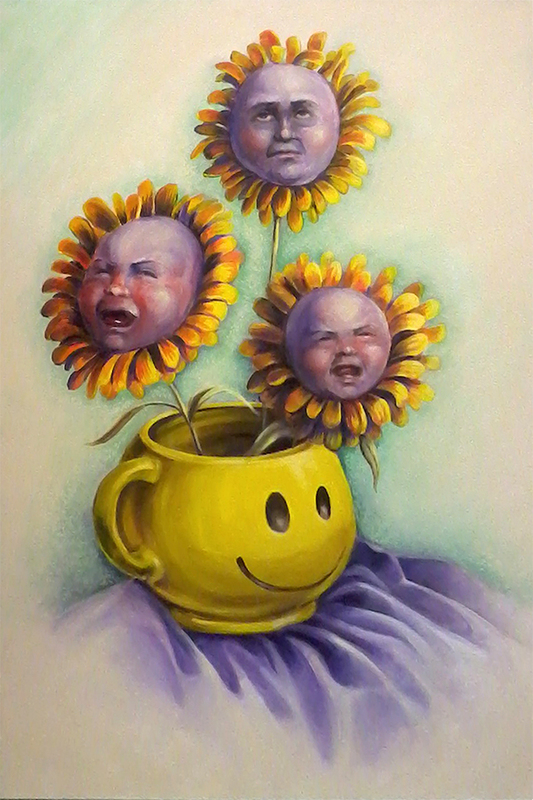 Two little flowers are carrying on while the harried mother in the middle rolls her eyes. Inspired by watching a harried mother too tired to do much more than keep her two charges in tow.